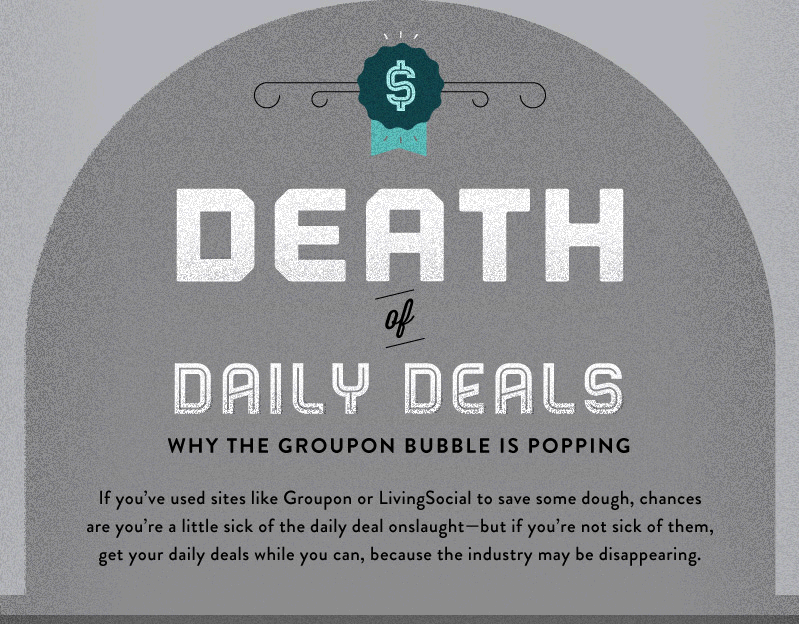 In the past I've written a few posts (or at least discussed on sites like Twitter) the challenges of Daily Deals sites like Groupon and LivingSocial. As much as everyone wants to get a crazily good deal, the one who gets left holding the bag inevitably becomes the merchants themselves. And thus the entire business model has hardly ever seemed sustainable to me. And in a timely enough fashion, the folks at CreditScore.net have put together this interesting little infographic that discusses why daily deals may in fact be on their way out.